It's the Crafty Nurse here back with a little holiday spirit! Okay, okay, it's a little early, but would you believe there are only 12 more weeks until Christmas? It's okay though, Pat has released some gorgeous Holiday stamps that you can use to make multiple cards or gift sets so I thought I'd share a few quick ideas to accomplish that. 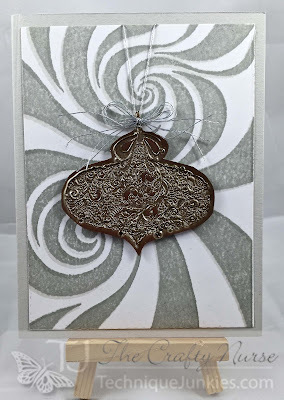 The first card's focal point is another great September release called, "Ornament 1." I embossed 4 layers of Liquid Platinum from Ranger and then stamped right into the wet powder after it was melted. This works great for very detailed stamps. 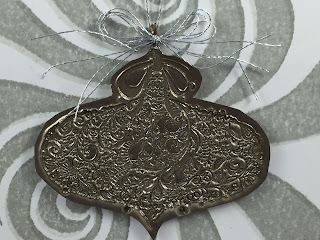 Close up of "Ornament 1"
For this card I only used the white pigment ink and no dye overlay ink. 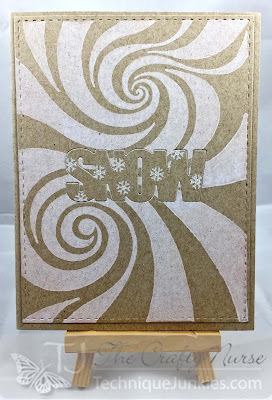 I did some inlayed die cutting with the snow die making for a very quick and easy card that is great to send through the mail because it's completely flat. 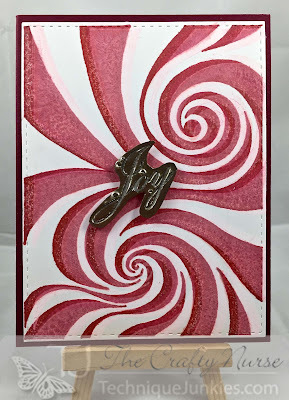 My third card uses the same technique as card #1 with the focal stamp being "Joy", also from the September release. 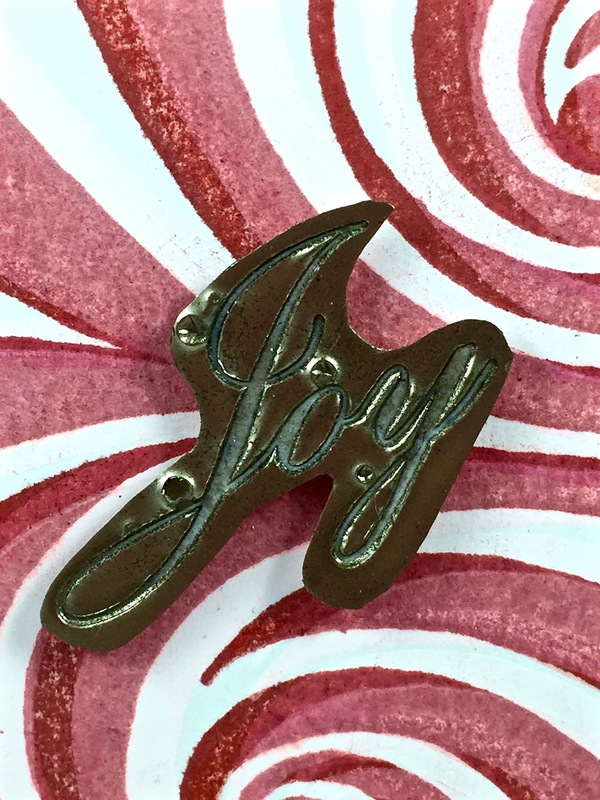 Close-up of the "Joy" stamp dipped in multiple layers of embossing powder after it was heat set. I hope you've gotten a little holiday spirit and look forward to seeing you at our Blog Hop that starts tomorrow on October 1st!